We figured there should be a drink article to accompany Louise’s food article, and since I’m writing it and I like beer, it’s a beer review. 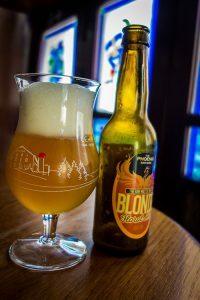 Think of it as a low-brow (or low-bräu, hehe) wine review, and then scold yourself – because beer has every right to be taken seriously, and arguably has a much wider range of tastes, textures, and smells than wine ever could. With the recent explosion of microbreweries in Ireland casting a harsh light on the older brewing institutions, I felt it would be good to have a look and see if a similar situation is true in another small island nation. These are the big boys on the island. 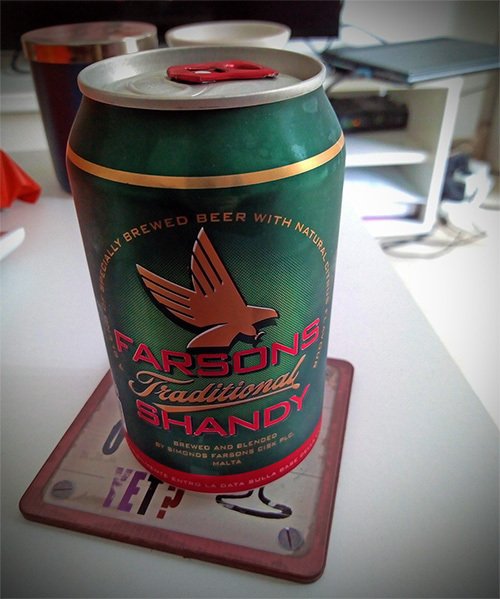 Founded in 1928 as Farsons, and merging with H.G. Simonds in ‘29 to become Simonds Farsons Ltd, the brewery got its current name in 1948 after merging with the Malta Export Brewery, producers of Cisk. The closest analogy in Ireland would be the Guinness brewery, I’d think, though it seems only recently they’ve been expanding much beyond the staples of Guinness, Smithwicks and Harp – whereas Cisk et al have quite a diverse range and seem to have had so for most of their history. 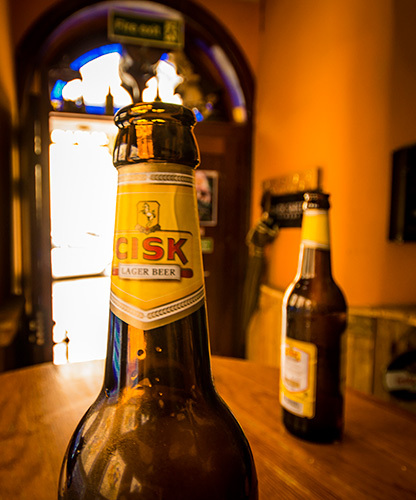 It’s not only the beer pie they’ve got their fingers in – the Cisk group also produce the soft drink Kinnie, which is to Malta what Irn Bru is to Scotland – as well as running the KFC, Burger King and Pizza Hut franchises on the island. As with everyone with a bit of money, they’re also involved in property management and development. Certainly an intimidating adversary if you were thinking of setting up a competing brewery! This brewery is small enough to not have a mention on Wikipedia, so this section will be a lot less authoritative. 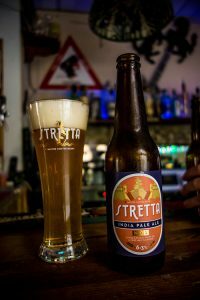 A family operation founded in 2014, the brewery is on the smaller northern island of Gozo (which I’ve sadly yet to visit) and produces a healthy selection of beers – 10 currently shown on their website. I think being smaller, they’re better able to experiment and release new beers or retire old ones as the whim dictates – so rather than having 4 different-but-similar lagers, they’re able to play about with ingredients like caper flowers and chocolatey carob honey. Their website lists six staff members, which puts it on par with a couple of smaller breweries I’ve visited in Ireland. Smaller again than Lord Chambray, this micro brewery puts out four different products, but doesn’t list where to buy them – hopefully I’ll stumble across one or two! 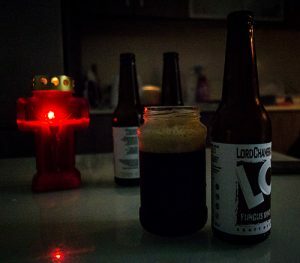 A husband and wife organisation, with an internet presence dating back a whole year and a half, the unique selling point looks to be a focus on “raw” beers, without preservatives. To be honest, I thought alcohol was the main preservative in most beer. Perhaps these are brewed without boiling the ingredients before fermenting? If I find out, I’ll replace this section and you’ll never know I did it. Muhahaha! 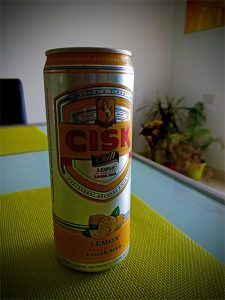 No review of Malta’s beers could be complete without the staple, Cisk (pronounced chisk). That’s why it’s going first, so I can finish any time I like after this. Cisk is everywhere – either on tap, in bottles, or in cans, most places will sell you a cold one for less money than anything else on the menu. It’s been a useful barometer of the general value of a bar – cheaper places sell you a 500ml can for €2, while pricier haunts charge €3 for a half pint of draught. 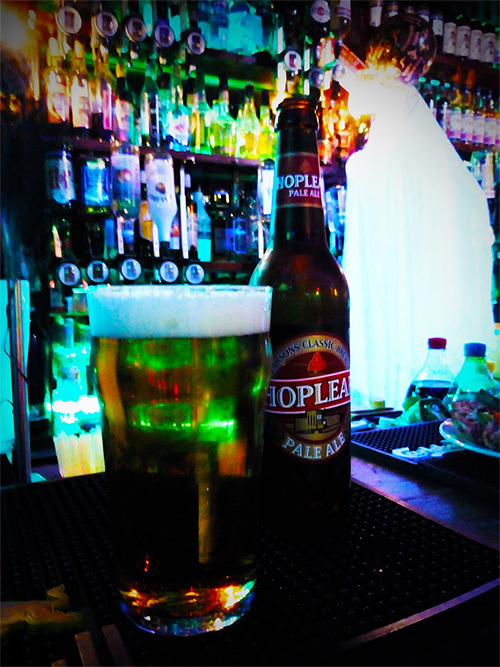 The beer itself is a perfectly nice lager, crisp and refreshing on a hot day – of which there are plenty. Cisk scored a 5 out of 100 on ratebeer.com, but I’m guessing most of those votes weren’t cast after a day walking around in the hot sun. Drink from the bottle if it’s served in one, or get a glass if they’re dishing out cans. It’s nice, really! 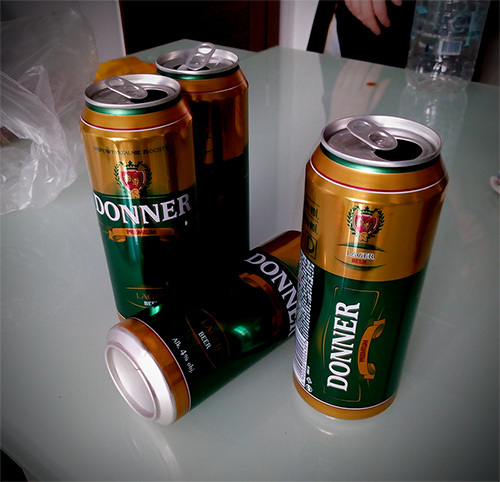 The cheapest beer we’ve found here, and with that in mind, not too shabby at all. It’s not actually Maltese, coming from Poland, but for sheer value it has to be included. For 50 of your finest euro cents in one local supermarket (and seemingly nowhere else), you’re rewarded with 500ml of a perfectly serviceable lager. Chill it for a while before drinking to remove as much taste as possible. It’s not horrendously bad-tasting, but any benefit it can take temperature-wise is worthwhile. It’s hard to complain when you get pre-drinks for the night with change from a fiver though. There aren’t enough reviews on ratebeer for this one to have a score, and most of the reviews seem to be from one breakfast-o-clock house party in Warsaw in April. Don’t bother with a glass for this one, you’re fooling nobody. It’s grand though. This was described as a cross between lager and Guinness, which is a fair starting point. It’s got the smooth creamy texture of Guinness, along with a thick and long-lasting head – but the golden colour and light flavour of an everyday lager or light ale. 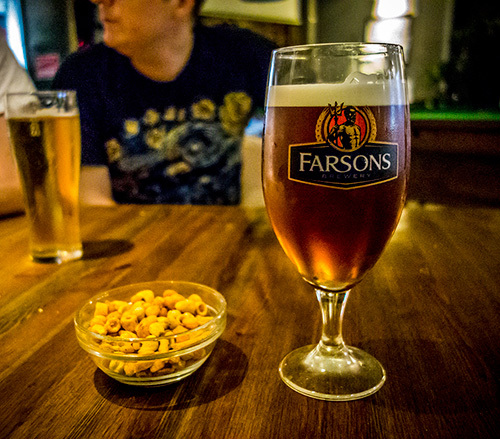 This beer is fairly common anywhere that does draught – might be harder to find if the bar is an exclusively bottles and cans type of place (my favourite!). Where I got a pint, it cost the same as a pint of Cisk – I don’t think that’s standard practice though, it’s usually a little pricier. I’m not a fan of this one. It’s OK, but the pint I got had a bit of an overly yeasty flavour, which reminded me a lot of the first batch of homebrew I made years ago. I mean, I drank all the homebrew and finished that pint of Blue Label, so neither were disgusting, but there’s better out there. With 7 reviews on ratebeer, this one doesn’t have a score either – I’m realising now that including ratings might have been a bad idea for an article about relatively unknown Maltese beers. Most reviews seem to think it’s OK, which is about as glowing an endorsement as I could give it. Unlike Louise, I am a big fan of those craft beers with intricate flavours. Having always loved sour sweets and granny smith apples, an IPA is naturally my first choice when it comes to beer – bitter and refreshing, perfect. Imagine my disappointment when I tried Farson’s IPA, and could hardly taste it. It’s just a standard pale ale – perfectly tasty if that’s what you’re into, but it wouldn’t have survived the boat to India. I had a few bottles, thinking that the first was an exception, but sadly not. A grand enough beer, but let down by its misnomer and the expectations caused by it. It was about €2.50 for a 330ml bottle, which was a little cheaper than I’d anticipated, particularly considering the bar dished out five different complementary snacks while I was drinking. Again, too few reviews on ratebeer for a score, and most of those are also giving out about it being called an IPA. Give it a miss, unless you want to be seen to be drinking IPAs but can’t stand the taste of them. And why would you want that? Weirdo. Cisk do a ‘Chill’ brand of flavoured beers – lemon, berry, and ginger. When I first saw them I thought it was Chilli, with fruit flavours, and I was pretty disgusted. Turns out it’s alright though, no peppers in sight. The lemon flavour is the one I’d expect to like most, and so it’s the first I’ve tried. It’s actually pretty good – the lemon flavour does have a tiny hint of artificiality to it, but not enough to get in the way. The beer is a bit flatter than regular Cisk, but that may have just been the can(s) I got. It’s nice and refreshing, tastes just like a decent shandy, but at 4% it’d be dangerous to think of it that way. This beer scores a mighty 2/100 on ratebeer, with a lot of reviews complaining of the artificial lemon taste, and the beer being bad to begin with. Worth a go if you’re in the mood for something fruity but don’t want to kill your buzz. I had this one shortly after the Cisk Lemon, which might have flavoured my judgement a bit, but this is just a very good shandy. 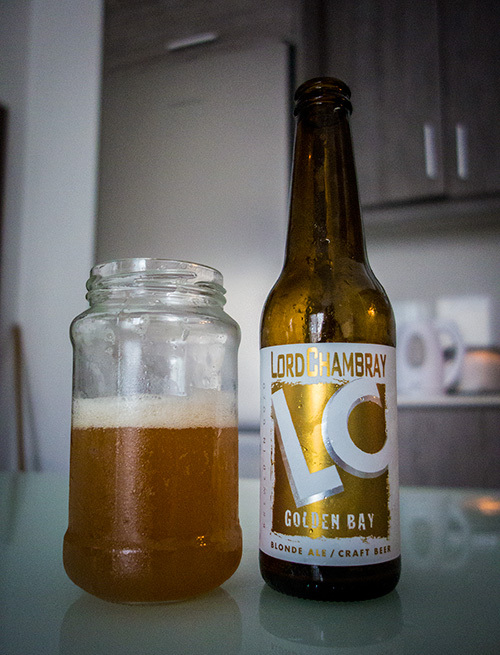 Good and fizzy, light at 2%, with both the beer and the lemonade tasting good, and neither overpowering the other. Could see myself at a music festival with one of these in hand all afternoon. 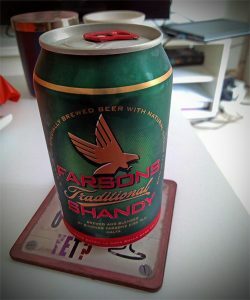 I’m not a big fizzy-drink-drinker, and usually not mad for sweet things – but I didn’t find this too sweet, unlike the good folk leaving ratings on ratebeer. It got a lowly 2/100, with most complaints being that it’s too sweet, and that it’s not beer. Well of course it’s not beer! If you buy shandy and expect beer you deserve to not enjoy it. I’d certainly drink this again. This one is kindof on-the-fence about being Maltese. I mean they have the Maltese cross on the logo, and the year 1565 is referencing the great siege when the Ottoman empire tried to invade Malta, then held by the Knights Hospitaller (for more information, read wikipedia). That being said, the brewery on the outskirts of Valletta closed in 2012 to become a supermarket, and production moved to Germany. If I were them, I wouldn’t have bothered. It’s just a bad lager. Even as cold as the pub served it, it still tasted bad. My notes from the night read: “Tastes like it was poured from a party balloon. Not trying another”. I’m not sure much needs to be added to that. This one got 3/100 on ratebeer, well deserved I’d say. Now we’re talking. A beer that does what it says on the label, and does it well. It’s a nice lager-ey ale, with a hint of hoppiness, for that extra bit of flavour that you don’t get from your Carlsberg or Heineken. It’s like a midpoint between Carlsberg and Hop House 13. Crisp and refreshing. I was told this is a “workmans beer”, whatever that means. Unpretentious? I guess I should have asked. Anyway, I came away happy, and would have continued drinking these all night, if we hadn’t switched to G&Ts and tequila shots. 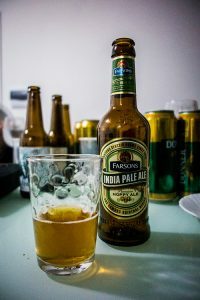 This got an impressive (for this article) 7/100 on ratebeer, with one reviewer saying it’s like an old woman telling a boring story, but she falls asleep shortly after getting started. I guess that’s better than listening to the whole story? My first beer from the smaller Gozo-based brewery, and a bit of a disappointment to be honest. It tasted OK, but a bit bland – I was hoping for a more adventurous flavour. A bit too yeasty, again reminding me of my first homebrew experience. Very foamy on the first pour too. I picked up the Lord Chambray beers from a local off licence / grocery shop (Drinks’N’More!) for the princely sum of €3.50ish each, for 330ml bottles. Barring a bottle of melon vodka, that’s the most I’ve paid for a drink outside of a bar. That’s including red, white and sparkling wine. Definitely not worth the money, especially considering at home you’d pay less for craft beers imported from halfway around the world. Thumbs down from me. Somehow this got 36/100 on ratebeer – I’m genuinely perplexed. None of the reviews seem too fond of it either. Maybe the site has a bias against more mass produced beers? I’d definitely take 7 cans of Donner over one bottle of this anyway. This is one of their experimental brews, using flowers from the caper plant. Big expectations, which again weren’t lived up to. Tasted like a pretty generic wheat beer, with a slight unusual taste, but I couldn’t say if it was a good or bad flavour – just something extra. I got out of my wheat beer phase a good while back – shortly after getting into it – so while this was a nice change from the lagers and pale ales, it wasn’t for me. 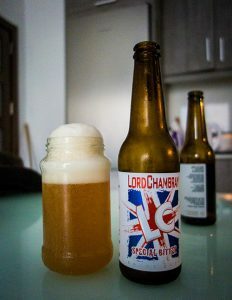 Very foamy initially, but short lived – seems to be a recurring theme with the Lord Chambray beers. I think if they’d used more of the caper flowers and really pushed the flavour this might have been a bit more interesting. 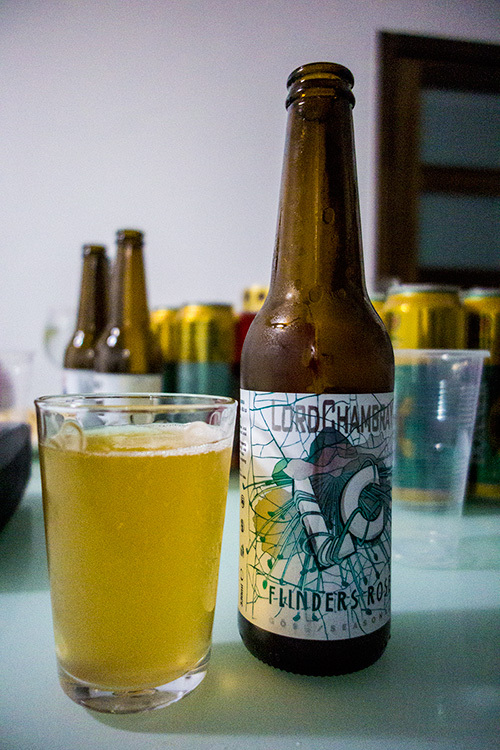 This one got 49/100 on ratebeer – definitely some skewing towards the smaller brewers. Only a couple of the first page of reviews were positive, the rest either indifferent or negative. No way in hell is this 10 times the quality / flavour of a Cisk. Glad I tried it, but wouldn’t bother again, definitely at the price paid. Another very foamy one, as you can see. Going by the label, this one is supposedly an English style bitter ale – I’d say it’s more sour than bitter though. Can’t say I’ve ever had an ale in England which tastes like this. Not quite on the level of actual sour beers – of which I’m not a fan – this one is pretty drinkable. I definitely prefer this to the previous two LC beers. Apparently I’m in the minority, as this one scores 36/100 on ratebeer. Most reviews are of the average / decent / meh variety. Worth trying once, I’m sure someone out there loves it. Now we’re getting somewhere. This has a decent head and colour, no crazy foam like the others, and a nice bitter taste I’d expect from an IPA. My one complaint would be that it hasn’t any of the floral / fruity flavours I prefer – it’s a bitter ale, but not the most flavourful. I could drink a few of them though, and be happy enough doing so. Quite strong at 5.7%. Ratebeer seems to agree with me on this one, giving 49/100. 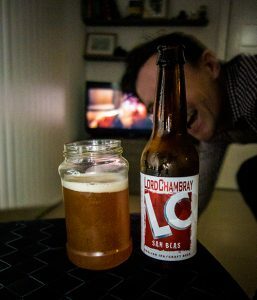 A few reviews lamenting the lack of fruitiness, and complaining that Lord Chambray’s craft beer persona was promising more than delivered, which so far I’d have to agree with. Terrible name. I know it’s named after a local landmark, but come on, nobody wants to drink fungus. After getting past that I was pleasantly surprised. I’m not a big stout drinker, mostly sticking to the odd pint of Guinness when the Smithwicks tap is being changed, but I really enjoyed this. Full of flavour, quite bitter with a nice smokiness at the forefront. It’s thinner than Guinness, more like a lager in texture. I’d had a few at this stage, but my notes from the night were “like looking back nostalgically on a nights boozing around the campfire”. Says it all. I’d drink more of these for sure – maybe only a couple though, given the price. Ratebeer gives this 48/100, but none of the reviews I read seem too pushed on it. Their loss! I think I’ve got the name right… Found a bar selling beers from the Phoenix Brewers eventually (turned out it was the first bar I was in!) and got comfy for an afternoon to try a couple. First up, and probably the blandest of the offerings was a blonde ale. It was OK, if uninspiring – nice and bubbly, refreshing enough, but with the faintest yeasty taste of homebrewing. Much less than the others I’d noticed previously. At 4.50 a bottle I’d be loathe to recommend anyone buy more than one in a lifetime though. This one is made with honey, which does come through a bit. I’m left wondering if the “raw” in the name means extra ingredients are added to replace those which would usually come about during the cooking process? Google tells me it is so – boiling the beers ingredients converts grain starch into sugar, which is fermented into alcohol. This one hasn’t enough reviews on ratebeer for a score, which isn’t too surprising. This one was pretty tasty actually. Immediately on pouring I got quite a christmassy smell from it, that warm mulled wine aroma. It might have just been the alcohol though – packing quite a punch at 6.5%. Similar thin bubbly texture as the blonde ale, the taste is a good bit richer, and the alcohol taste definitely comes through. I think the label listed sugar as an ingredient, which again would usually come from the boiled grain. Not a whole lot else to say about this beer. 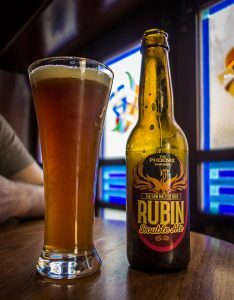 Again, ratebeer has no score due to too few reviews. Those that are there waver between “bad” and “meh”. Again, at 4.50 a pop, it’s a one-time beer for me. I hadn’t planned this one, but what a happy accident. The Rubin Double Ale came in a Stretta glass, which I googled and found to be a new Maltese beer company. 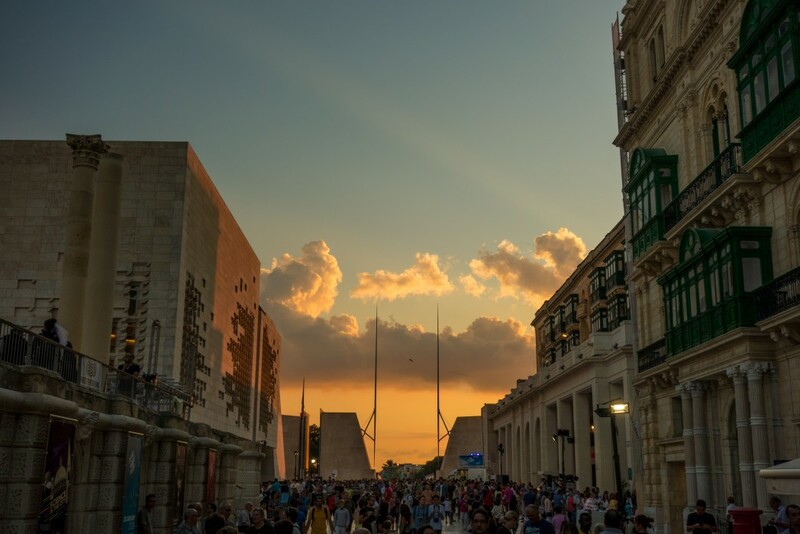 I don’t say “brewery”, because the beer is actually brewed in Italy – it’s just that the person/people who develop the recipe for their beers is based in Malta. I was kinda on-the-fence about including this, but after a taste I had to really. It’s delicious. It’s got all the floral and fruity flavours I love, it’s got some bitterness but not too much, and it’s strong at 6.3% but doesn’t taste it. In my notes I included that the last sip was as good as the first – maybe I just drank it a lot quicker than the others? Either way, lovely. I think this was the priciest beer I’ve had all together at 5 euro, but I’ll be having another before too long. It seems ratebeer is in agreement with me – this scored a mighty 80/100, and very well deserved. One reviewer regards it as the nicest Maltese beer they’ve tried so far, which I’d definitely echo. I’ll have to try their other beer now too! 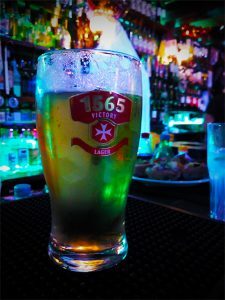 I’ve enjoyed my journey into Maltese beer, or, I guess, Maltese beer’s journey into me. I didn’t intend to include so many beers, but it turns out that it’s a fun topic to write about! I feel like the microbrew explosion we’ve seen in Ireland recently is only barely starting to happen here, with mixed results so far. The large brewer definitely has the lager market sewn up, so I’m hopeful that more smaller breweries will emerge to provide the full range of styles I’ve grown to love at home. There’s definitely a receptive market here, and the transport costs couldn’t amount to much!